When I was a kid, I played little league baseball, and fancied myself a big-league pitcher someday. I practiced endlessly, throwing against a wall of our garage, and when bad weather drove me indoors I didn’t stop practicing. This caused a few hardball-sized holes in the drywall of my room, not to mention the headache it caused my father. 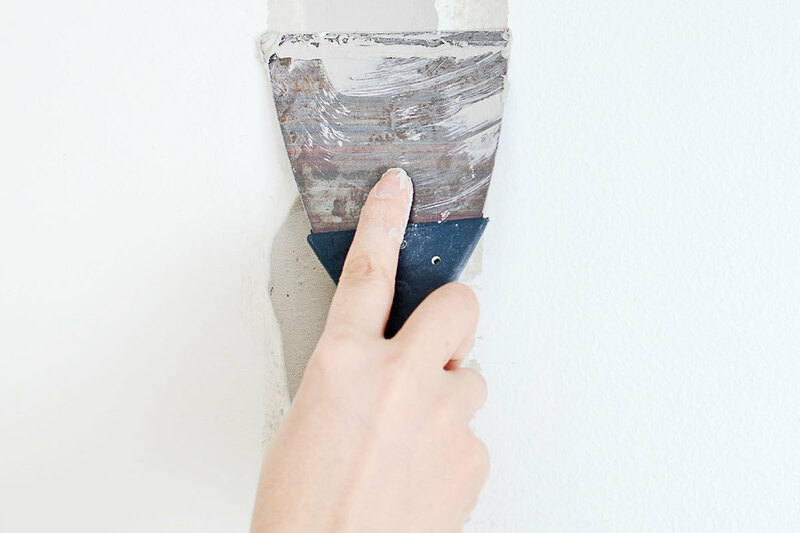 First, you’ll need a spare scrap of drywall the same thickness as the baseball-damaged wall in your house; a drywall or stab saw, a utility knife, some drywall screws, a piece of wood that will fit behind the drywall hole, a piece of drywall or window screen, and small container of joint compound. Measure the hole, and draw a square around it. Cut out a patch from a piece of drywall that matches the size of your square. Use a drywall saw (also known as a stab saw, for its pointed tip), to cut an “X” through the hole to each corner of your square. Then, using a utility knife, score along the outside lines of your square. 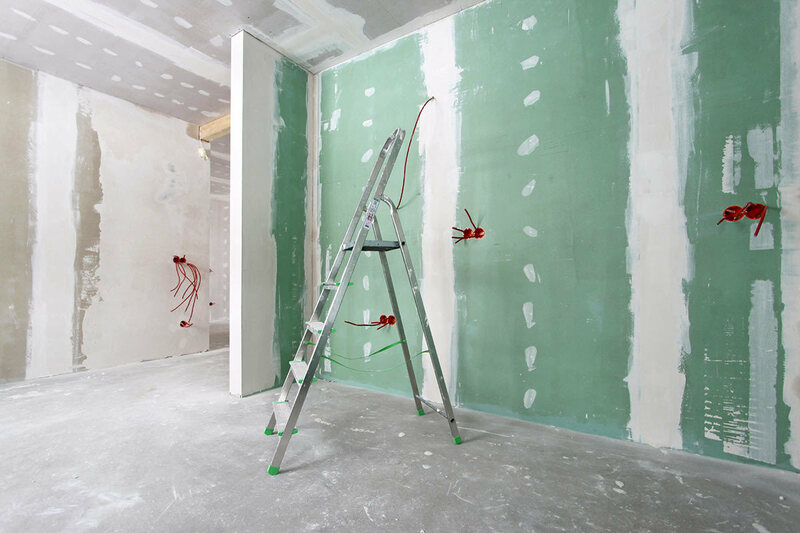 Grab each piece of drywall and cut it out, until you have a perfect square with clean edges. Find a piece of scrap wood that’s longer than your square hole, then insert it into the hole, hold it there and fasten it from the outside with drywall screws, two each at top and bottom. Let those screws sink into the drywall just a little below the surface. If you like, use some glue or construction adhesive to help hold the piece of wood. 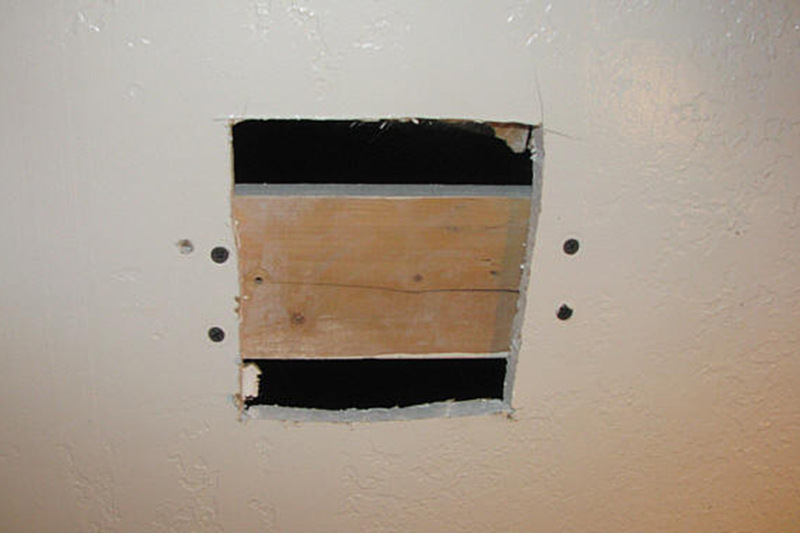 Glue your square drywall patch to the secured piece of wood behind your square opening, and then use two more drywall screws to firmly attach it. Almost done! 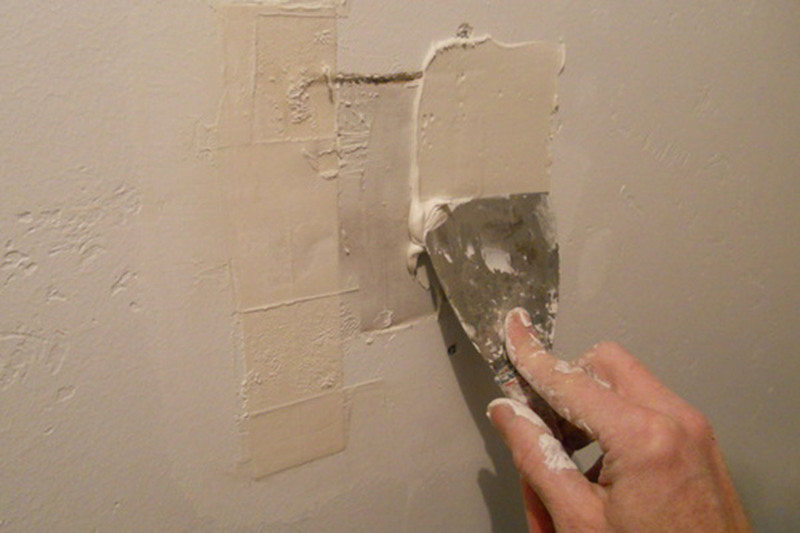 Now, just use a wide putty knife to patch the voids and screw holes with drywall joint compound. Use a thin coat, and let it dry completely before the next step. 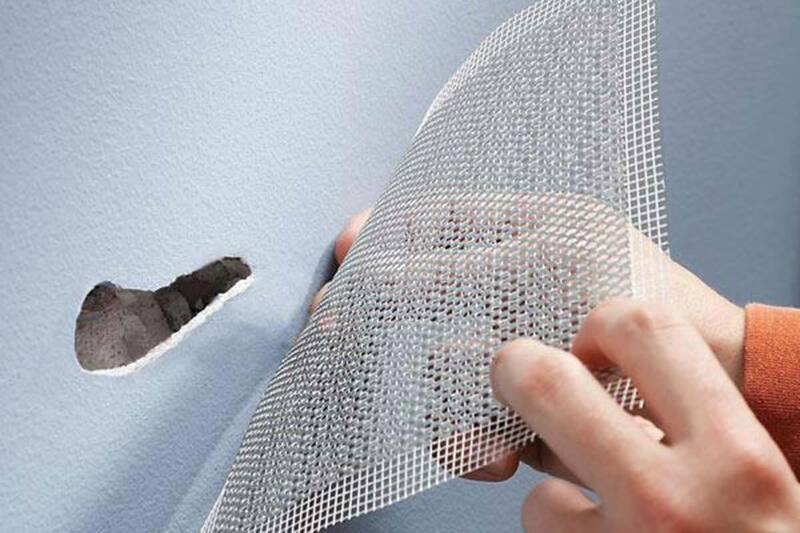 Use specially-made drywall screen or a piece of window screen, and cut a piece that overlaps your repair. Simply push it into the still-wet joint compound with your putty knife, making sure it lays flat and has no wrinkles. Finally, add a few more layers of drywall mud (what the pros call joint compound) after letting it dry completely between coats. 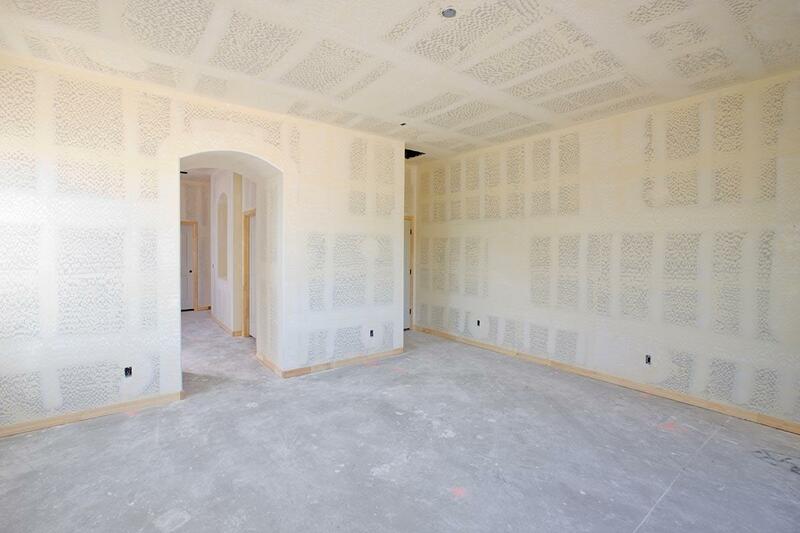 Sand the repair with fine-grit sandpaper or drywall mesh. Build up a nice smooth covering over the entire repair, taking care not to expose any screen or screwheads, until you can’t feel the edges of your repair. Get out the paint, brush it on and you’re done! 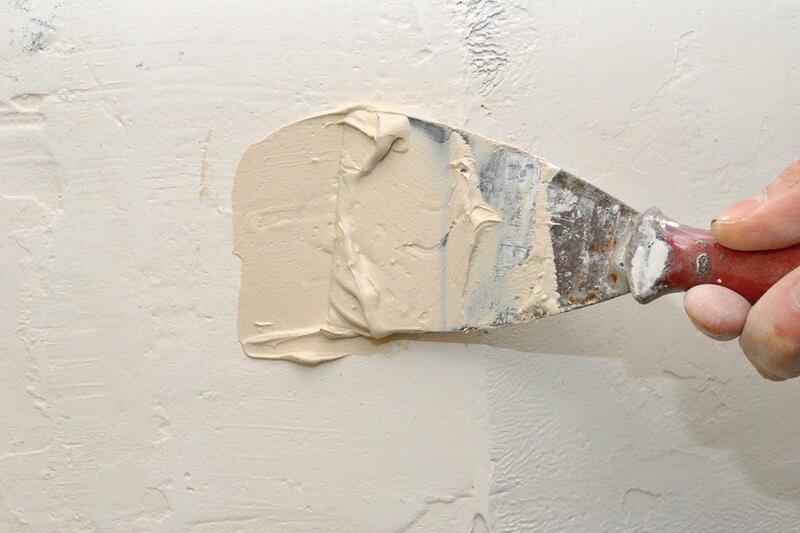 Your repair should be invisible after you paint it to match the rest of the wall. If it isn’t, you can always do what I did—throw more baseballs until the entire wall looked kind of wavy.